With the weather dropping and Christmas being my favourite holiday, only 48 days away, it’s time to start spreading some holiday cheer. Remember to dress warm and start preparing for the frigid cold that is on it’s way. Cameron Collict, the referee in chief (RIC) for intramural ice hockey, was on the show for an interview. He has been the RIC now for two years and is sad to pass on the torch next year as this is his final year. Cam is in charge of administrative duties, creating the year-long hockey schedule, as well as dealing with altercations (which apparently happen often). 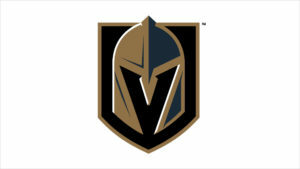 The Las Vegas Golden Knights, for the first time in franchise history, were in Toronto last night taking on the Maple Leafs at the Air Canada Centre. Toronto left the first period on top by a score of 3-1 with two goals coming from Nazem Kadri and one from James Van Riemsdyk. Like typical leafs fashion, they blew their two goal lead as Vegas forced an overtime tying the game up at 3-3. Overtime was unable to decide a winner and so a shootout was the result. Toronto sent out Mitch Marner first, Auston Matthews second, and Patrick Marleau third to shoot. In the entire shootout, only Mitch Marner for Toronto scored resulting in the Leafs winning 4-3. Click here to watch the highlights. The Maple Leafs have now improved to 9-7-0 on the season and take on the slumping Minnesota Wild at home on Wednesday. On today’s show, not only did I give a joke of the day, Cameron Collict also brought his own hockey-themed joke. Why are the Ottawa Senators like Canada Post? They both wear uniforms and don’t deliver! Check out this ad for the new Samsung phone. The commercial absolutely roasts the iPhone and all the problem’s it has had over the years. Click here to watch the commercial. Good on Samsung for coming up with this genius commercial but I will always be loyal tot he iPhone. As we get closer to Christmas, you’ll begin to hear more and more Christmas music to help you get into the holiday spirit!